Creativity is about seeing the world differently. It's about coming up with unconventional ways to express ideas and solve "impossible" problems. Creativity is within reach for everyone. No one expects to run--much less win--a marathon without preparation. Such endeavors require training and practice. Lots of practice and even some slips and falls along the way. 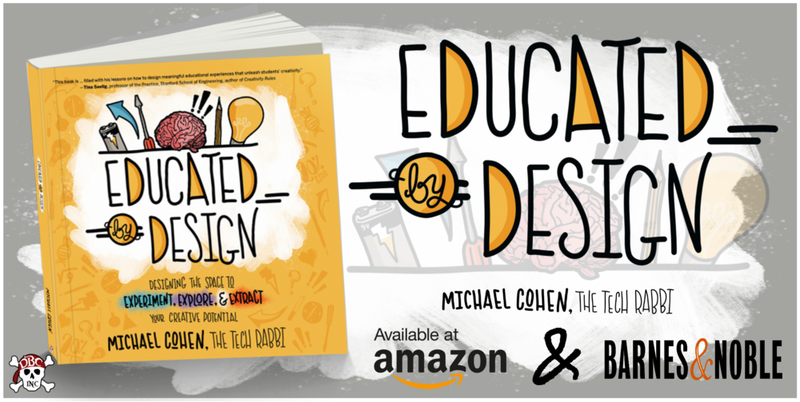 In Educated by Design, Michael Cohen (aka The Tech Rabbi) explains that creativity is no different. When creativity is clearly defined and intentionally practiced, all educators can improve the design they bring to their students' learning experiences. So many people look at others' success and criticize themselves for not being artistic or talented. In reality, creativity is a mindset that anyone can develop and grow. 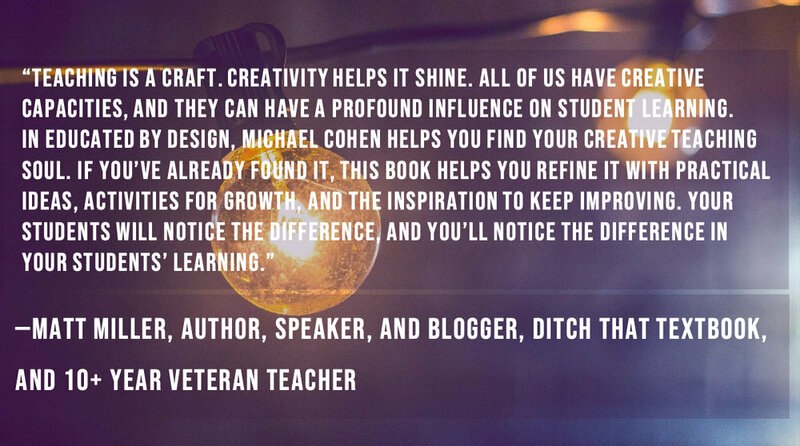 In this book, Cohen gives you the guidance you need to boost your creative courage and extract your own creative potential. With a little practice, you might just discover that creativity can change the world. ©2017 The Tech Rabbi LLC, All Rights Reserved.